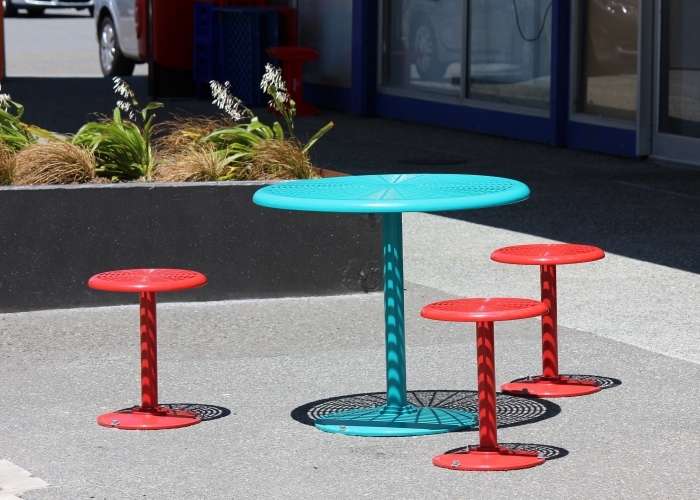 Newlands Shopping Centre is in the Wellington suburb of Newslands on New Zealand’s north island. 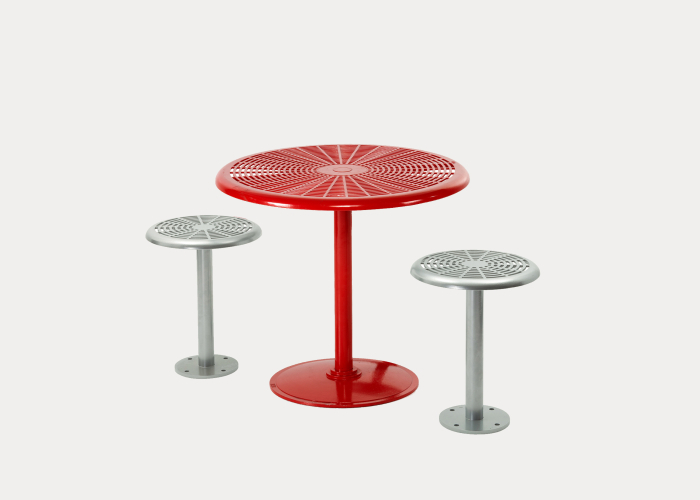 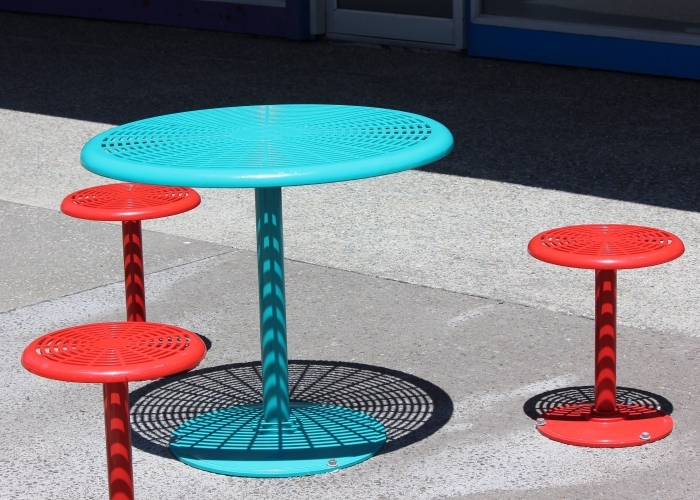 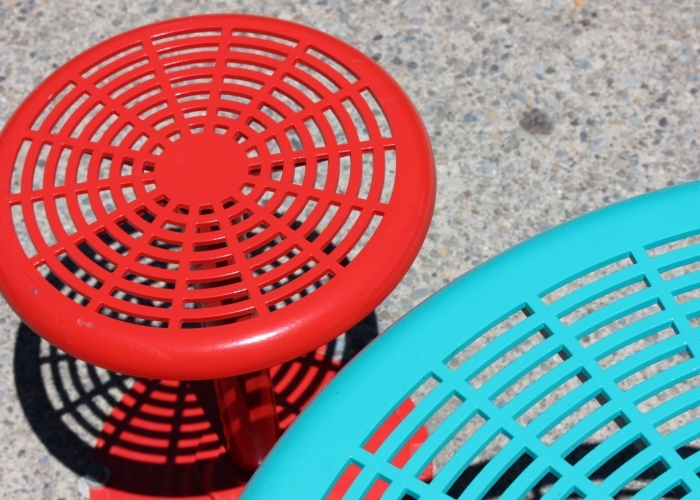 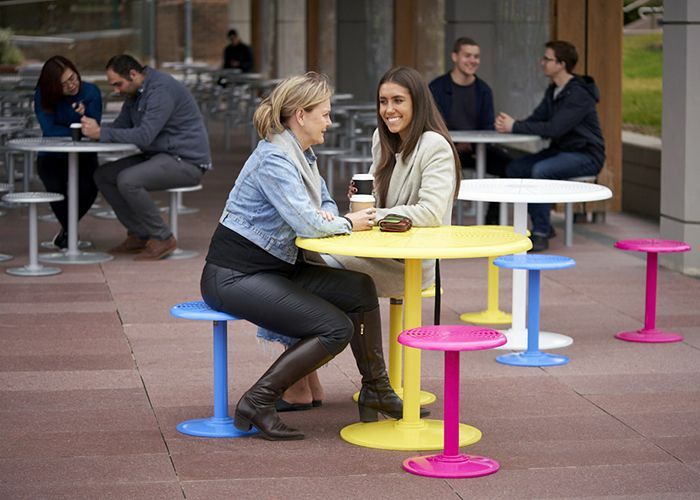 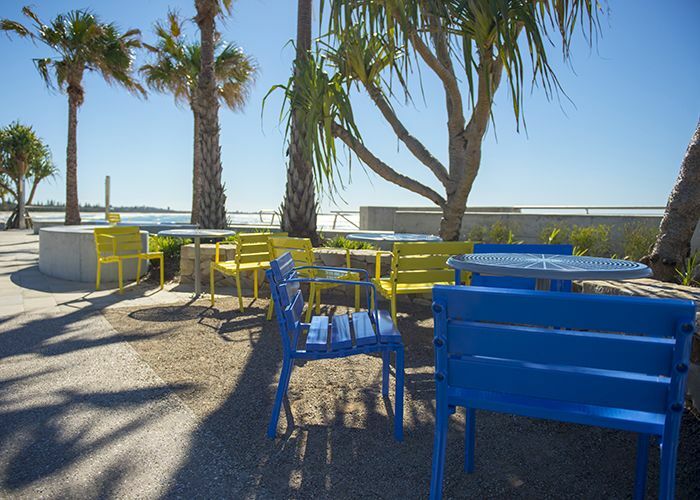 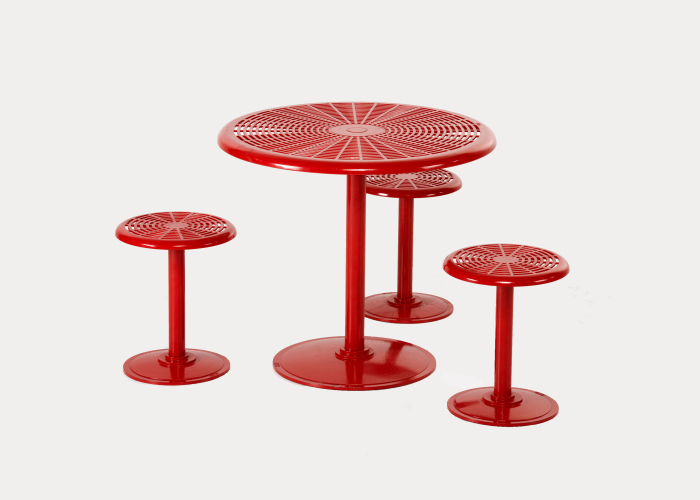 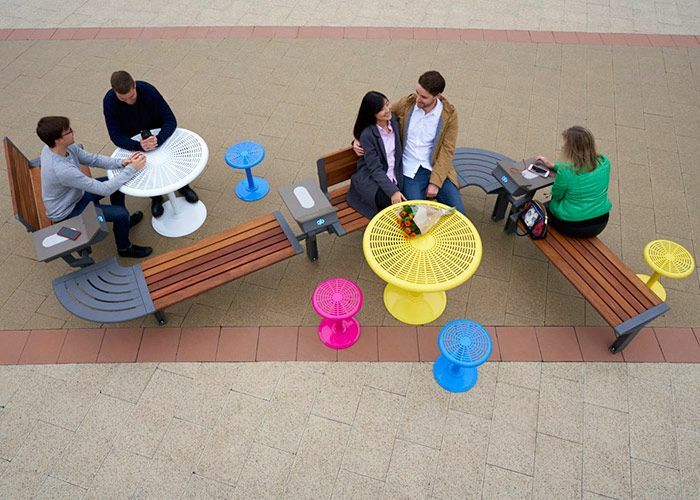 Cafe round tables and stools, powder coated in brilliant blue and red, create a playful setting for outdoor dining. 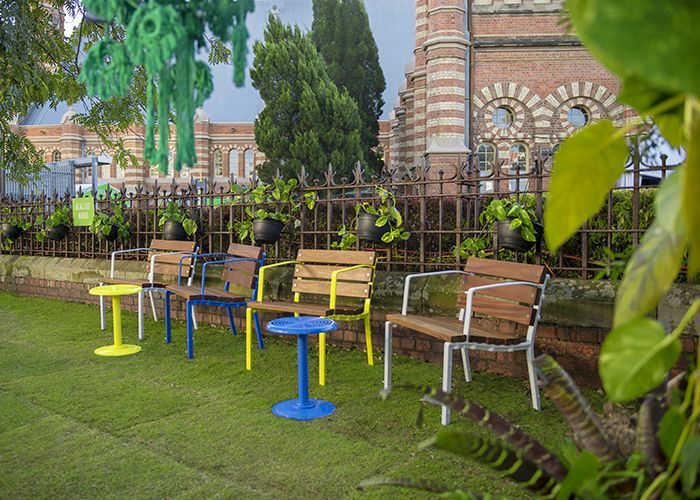 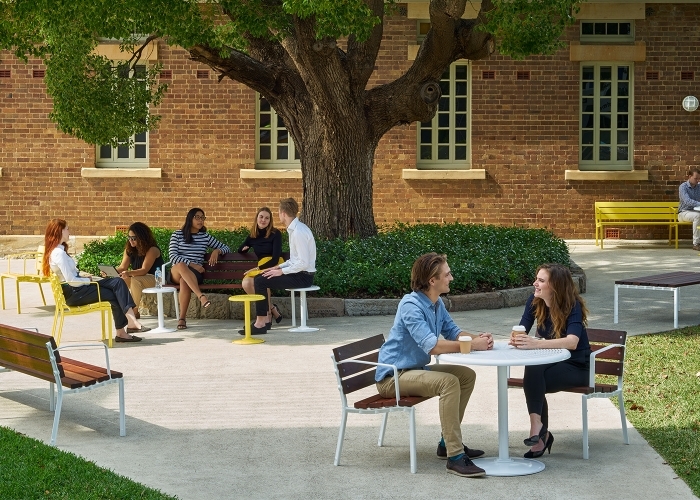 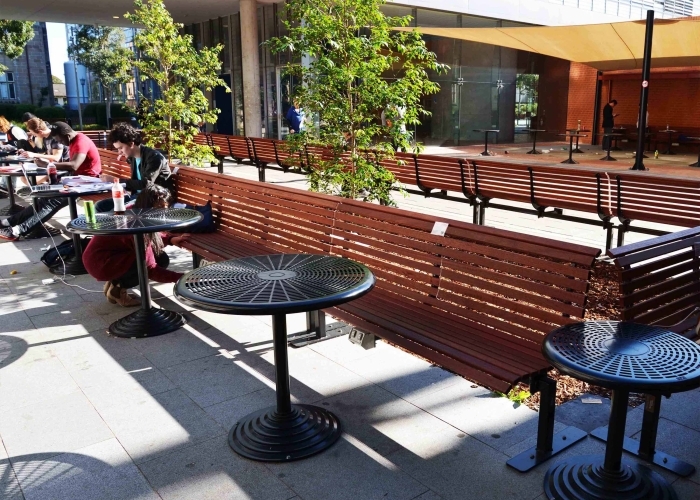 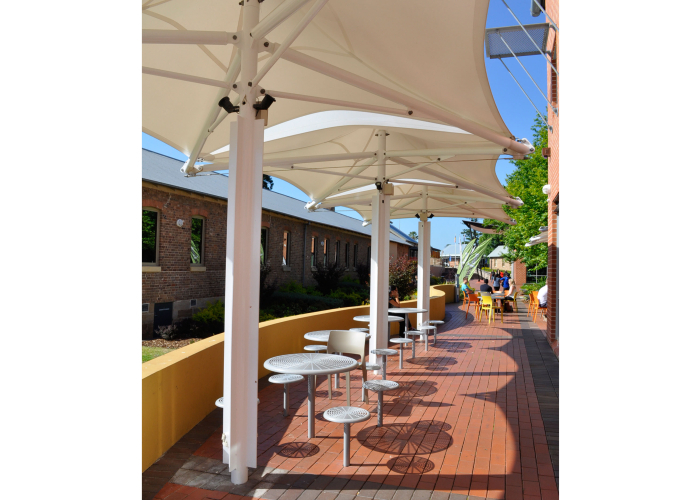 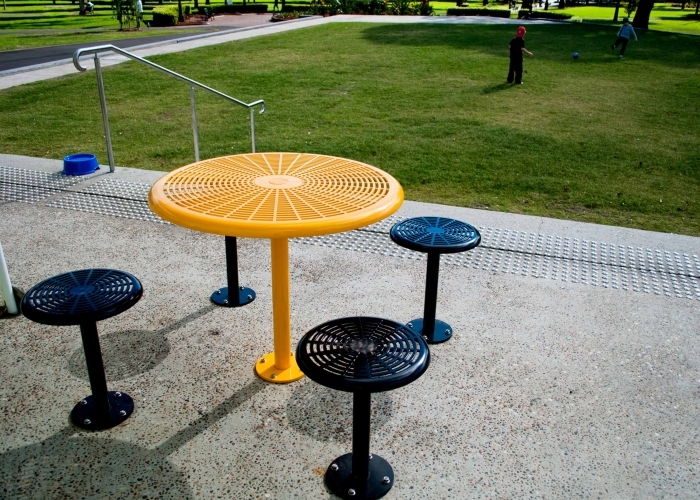 As part of Glen Street Theatre‘s $7 million renovations in 2014, Street Furniture Australia were commissioned to supply the Cafe range for the theatre’s new forecourt. 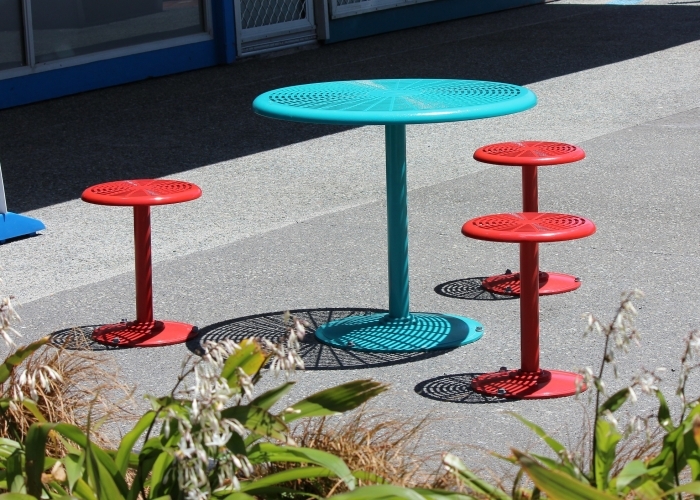 Glen Street Theatre customised the settings with three powder coat finishes (Red Gloss, Bright Silver Gloss and Black Satin) to complement their branding. 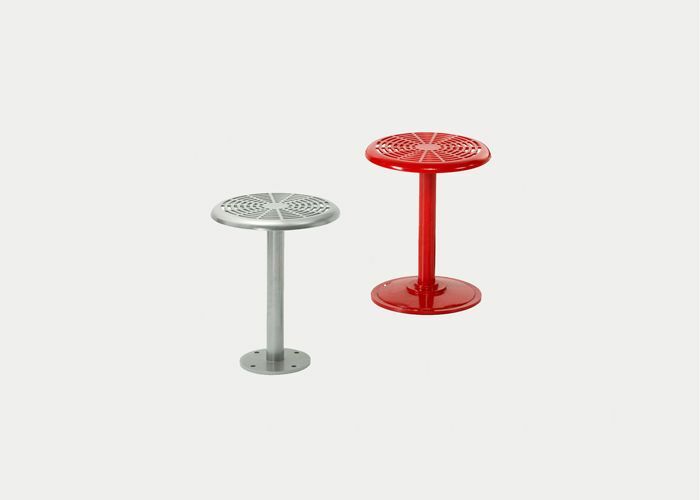 At the theatre’s request, some stools (which were surface-mounted) were positioned to allow space for easy wheelchair access to the tables. 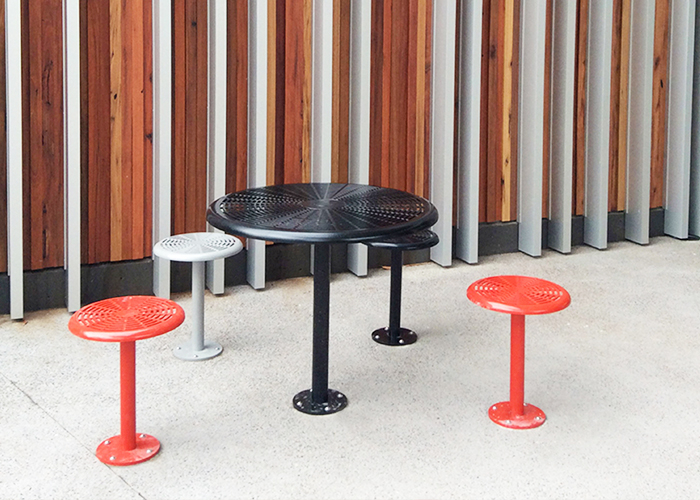 In this way, the theatre has devised an inclusive and comfortable seating system for all their patrons to enjoy. 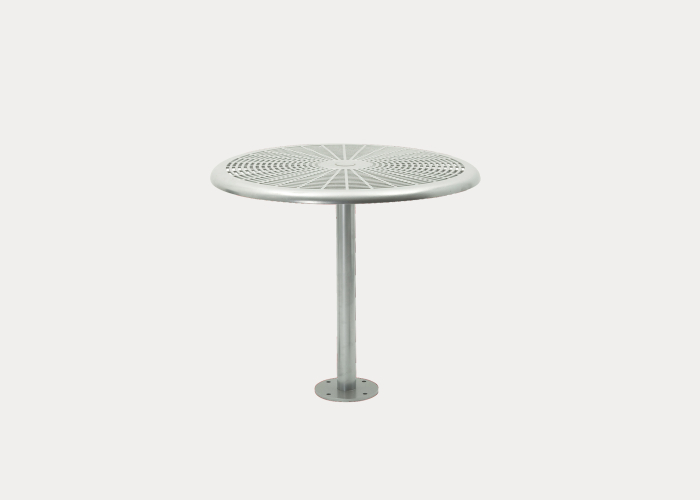 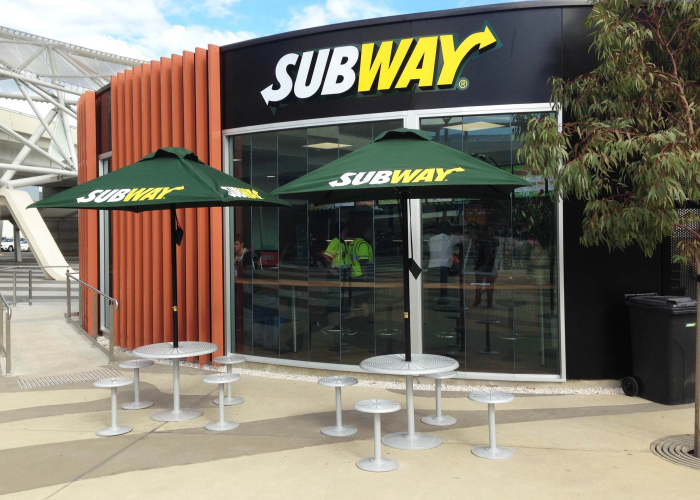 The Cafe range was the ideal choice for outdoor dining at the Adelaide Airport Subway store. Whether it’s rain, hail or shine, customers can relax and enjoy their meal under large umbrellas positioned in the centre of each table, especially ordered by Subway. Mercury silver gloss was chosen to complement the strong Subway brand colour.